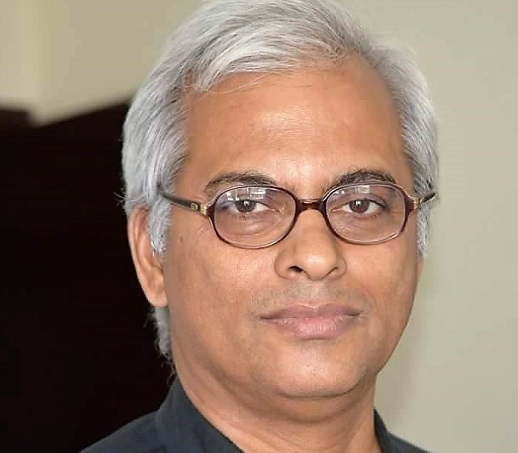 The Church in India, especially in the southern state of Kerala, is breathing a sign of relief after Yemen confirmed to India’s foreign minister that Catholic missionary Father Tom Uzhunnalil, kidnapped in Yemen in March 2016, is “alive”. “We are thrilled to hear that good news,” Cardinal George Alencherry, Major Archbishop of the autonomous Syro-Malabar Church, to which the kidnapped priest belongs, told World Watch Monitor. Abdulmalik Abduljalil Al-Mekhlafi, Deputy Prime Minister of Yemen, broke the news to Sushma Swaraj, Indian External Affairs (foreign) Minister on 12 July when they met for bilateral talks in the Indian capital. “We are very hopeful now. The news brings great joy to us,” V A Thomas, first cousin of the kidnapped priest, told World Watch Monitor from their home in Ramapuram, near Palai, in the Christian heartland of Kerala. Father Uzhunnalil, 58, was kidnapped on 4 March in Aden in Yemen, from the Missionaries of Charity home for the elderly. Four nuns were murdered, along with 12 others, during the attack by unidentified gunmen. While a first false rumour was of the crucifixion of the kidnapped priest on Good Friday 2016, a video of him in captivity surfaced around Christmas 2016, with the visibly unkempt and ailing priest urging the government of India and the Church to ensure his release from captivity. That led to a series of assurances from the government of India, while the Catholic Church organised several demonstrations, including a day of prayer and candlelit vigils, urging the government to ensure the kidnapped priest’s safe release. “In that video appeal, Father Tom had even requested us [his family] to put pressure [on the government] to ensure his release,” said his cousin, V A Thomas, who was also headmaster to Father Uzhunnalil when he was a student at the local Catholic school in the 1970s. The extended Uzhunnalil family clan, Thomas pointed out, had been “consistently pleading with everyone to ensure Fr Tom’s release” and have called on several top government leaders. After the second video emerged, Thomas said that he led a four-member Uzhunnalil delegation to meet P Sathasivam, the Kerala Governor, along with Oommen Chandy, former chief minister of Kerala, on 31 May. Three days earlier, the federal government had dispatched Richard Hay, a Christian Member of the Indian Parliament (who’d been nominated by the ruling BJP government), to the family in Palai, to assure them that the government was making serious efforts “to bring the back the priest home safely”. “We are very happy with the developments and hope he will be released soon,” Thomas said. However, he added that “due to the big public interest in the safety of Fr Tom, there are reports that the demands of the kidnappers have gone up”. The External Affairs Ministry in its press statement said that the foreign minister has “stressed the government’s concern for the safety and well-being of Father Tom Uzhunnalil … and reiterated the request for continued assistance from the Yemeni authorities in securing his safe and early release”. According to reports, terror groups such as Al-Qaeda and the Islamic State are said to have bases in parts of Yemen, resulting in instability in the country.